Each year DACOR offers graduate fellowships for study toward a Master’s Degree in international affairs. These are $10,000 tuition-only grants. Recipients must be U.S. citizens. The fellowships are for study at any accredited graduate school in the United States. Typically, eleven schools (depending on budget) participate in this program. Five annual schools: American University – SIS; Johns Hopkins – SAIS, Georgetown – Walsh School; The George Washington University – Elliott School; and Tufts – Fletcher School; and six rotating schools that are selected each year. The schools all advertise DACOR’s fellowship program and, based on merit, nominate three candidates. The Education Committee then interviews the nominees and selects one winner from each participating school. The fellowship program is funded from various restricted bequests as well as individual members’ contributions. These scholarships, with special encouragement for minority candidates, are for juniors or seniors committed to a major discipline related to foreign affairs. The awards under this “Metro-area” Scholarship Program are $6,000 each toward tuition. Trinity Washington University, George Mason University, Howard University, University of Maryland and the North Carolina Consortium for International and Intercultural Education are the current participating schools. Each of these institutions advertises the program and selects one winner. The Metro Coordinator maintains contact with schools and recipients. All Metro recipients have an open invitation to attend a lunch at DACOR Bacon House. This program is funded by generous bequests from Heyward G. Hill. The purpose of this substantial bequest by Ambassador Louis G. Dreyfus, Jr. is to support the education of children and grandchildren of Foreign Service Officers attending Yale University (undergraduate and graduate), and at The Hotchkiss School. Grants under this program total $40,000 annually. Applicants for support at The Hotchkiss School should apply directly to the Hotchkiss Director of Financial Aid; only one student is selected. Applications for grants for study at Yale must be submitted directly to DACOR by May 1. All eligible applicants receive an award; the amount is dependent upon how many eligible applicants there are. Each year DACOR allocates $40,000 to be administered by the American Foreign Service Association for scholarships. These financial aid grants are for high school seniors and college students pursuing a major related to foreign affairs. 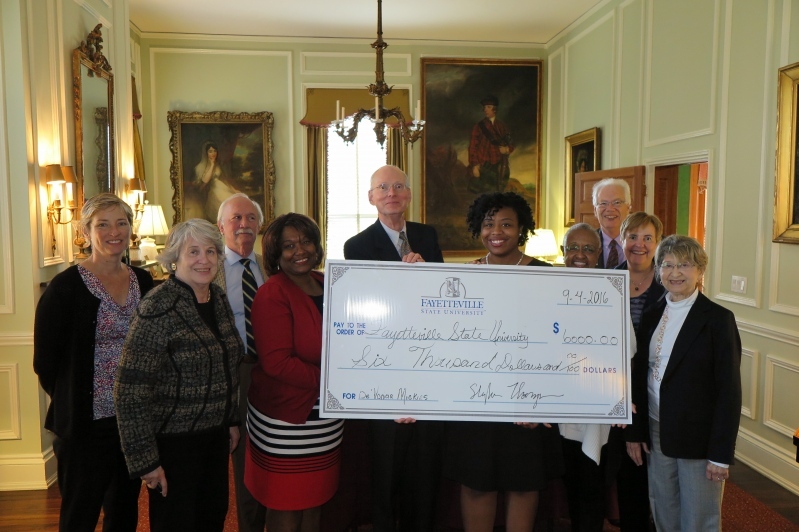 This grant is funded by the generous bequests from Heyward G. Hill, Harriet C. Thurgood and Virginia Bingham. The Gantenbein Medical Fund was established through the bequest of Mary F. Gantenbein in memory of her husband, FSO James W. Gantenbein. This fellowship is a total of $30,000 per year; $25,000 for tuition and $5,000 for living expenses. The Education Committee selects three U.S. accredited medical schools with strong programs in Global Health. Each of these schools nominates a first-year medical student to be interviewed at DACOR. The committee determines which student should receive the fellowship during their second year of medical school. The fellowship may be renewed for two additional years provided the student remains in good standing. There are various ways to support future generations of foreign affairs professionals through the Education program. One time or recurring donations can be made via mailed in check or by visiting https://donatenow.networkforgood.org/dacorbacon. Please be sure to indicate either on your check or the online donation portal that your donation is designated for the Education Fund. If you are interested in providing a bequest towards a specific award (either one listed above or a new award) or in general for Education purposes, please contact Kathy Pasley at kpasley@dacorbacon.org. Members are also encouraged to support the Education program by donating their time and/or expertise. The Education Committee is happy to accept new members. Interviewers are also needed across the country for the Graduate Fellowship awards. If you are interested in either joining the committee or being an interviewer, please contact Christine Skodon at clskodon@dacorbacon.org.